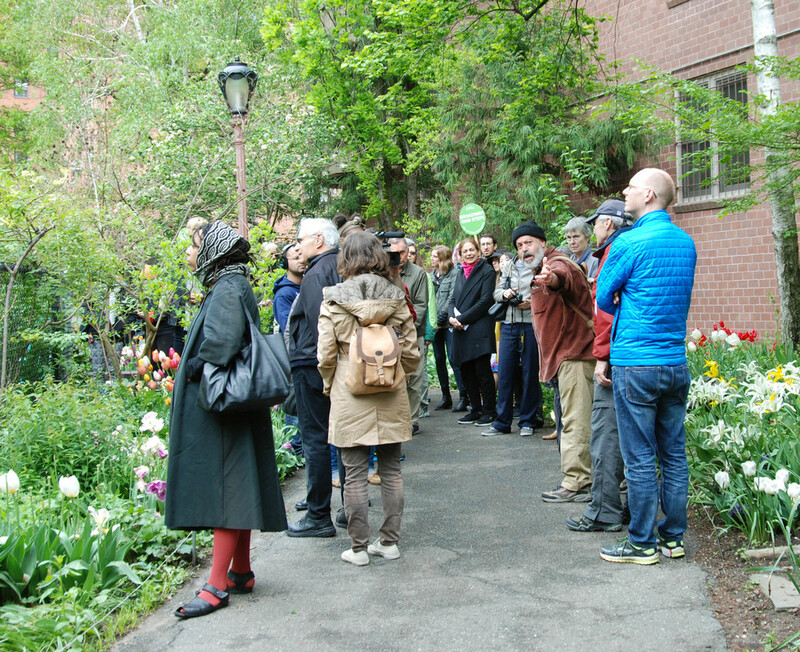 This WALK explored the qualities that make public spaces inviting and unwelcoming. We examined the pleasures and benefits of public space by looking at the Upper West Side and the populations it serves through the perspectives of three New Yorkers who significantly shaped public space in the city: Frederick Law Olmsted, Robert Moses, and Jane Jacobs. 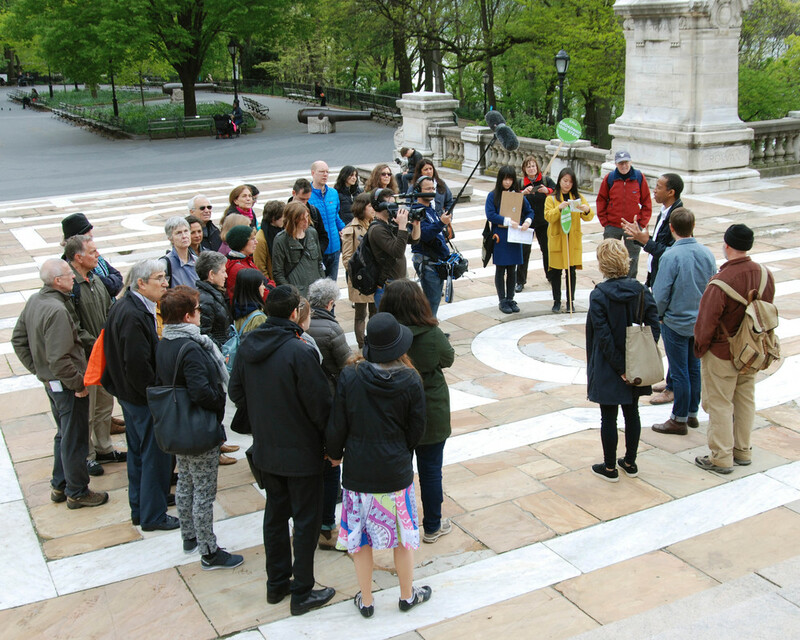 From Central Park West to Riverside Park, the group considered habitat, migration, and the relationship between social and natural ecology, addressing how the nature of public spaces affect people's sense of belonging. Garnette Cadogan is editor-at-large of Nonstop Metropolis: A New York City Atlas (coedited by Rebecca Solnit and Joshua Jelly-Schapiro). He is currently a visiting fellow at the Institute for Advanced Studies in Culture at the University of Virginia, and a visiting scholar at the Institute for Public Knowledge at New York University. Howard Chambers is an Urban Design Strategist based in New York City. Her project, Softwalks, won the Fast Company Innovation by Design Award in 2012. Currently, at Parsons, the New School for Design, where she received an MFA in Transdisciplinary Design, she teaches a course titled, "Visualizing Urban Change": a studio-based design class on how to take research-led concepts through to final implementation. Micromoment, her current project in development, is an app-based, geo-sensorial platform that helps to weave mindfulness into routine interactions in public and semi-public space. Mike Feller is an ecologist and photographer who worked at NYC Parks for 31 years as an Urban Park Ranger and as Chief Naturalist for the Natural Resources Group. In addition to providing tours, he was responsible for major ecological restoration projects at the Paerdegat Preserve, Gerritsen Creek, and White Island among others, led the establishment of the Forever Wild Program, responded to oil spills, and conducted breeding bird, wetland. and vegetation surveys. Jonathan Tarleton is a Brooklyn-based writer, editor, and researcher focused on urban environments and social justice. He is chief researcher and a contributor for Nonstop Metropolis: A New York City Atlas, forthcoming from UC Press and co-editors Rebecca Solnit and Joshua Jelly-Schapiro in October 2016. He formerly edited Urban Omnibus, a digital magazine covering planning, architecture, art, and policy in New York City.